Last week I had the good fortune of visiting Oxford University to attend a meeting of the Atacama Cosmology Telescope (ACT) collaboration. Though I had passed through the city once as a child, I retained no memories. And so, upon returning, I manfully pushed aside any romantic images of this venerable institution that centuries of literature and hearsay inevitably inspire. After all, here in the twenty-first century it would have motor buses, shops and, surely, at least a few hideous buildings dating from the nineteen sixties. Perhaps, I thought, there would be traces lingering of the Oxford of a hundred years ago, but I was here for a meeting. 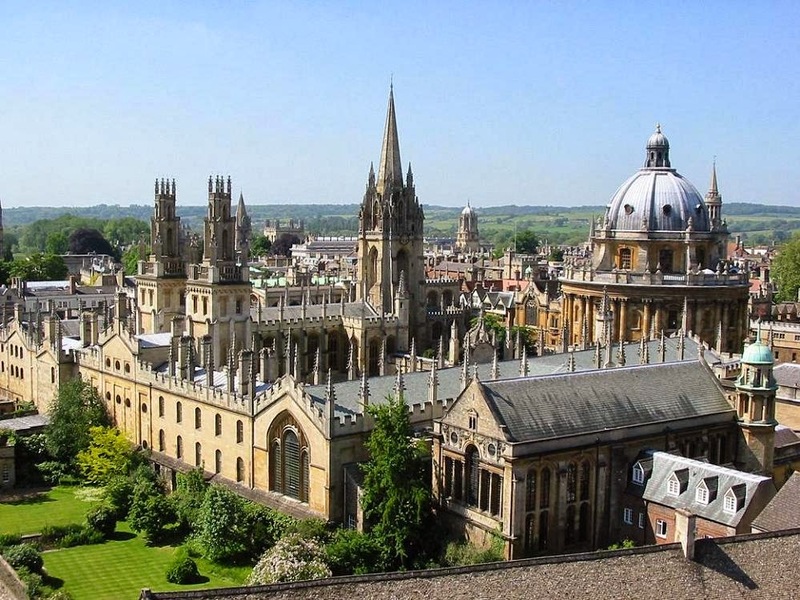 It is perhaps hackneyed to say that Oxford is a centre of learning, but it is worth dwelling upon. Of all universities I have visited, it proclaims most vociferously the value of study through its architecture, layout, size and age. Here is a place whose main purpose has always been the transmission of knowledge: not because it is lucrative, but precisely for the opposite reason that when the mediaeval merchants who sent their laden barges down towards London had attained a comfortable degree of wealth they turned to higher things and sought to have their sons educated. They knew that knowledge is a good to be treasured—something that we sometimes lose ahold of. For example, I recall once being given a tour of a telescope when we were interrupted by some other visitors. My host welcomed them and began explaining the instrument to them. When she had finished, one of the guests asked why tax payers should be funding astronomy—a very fair question, I suppose, since it was a national observatory. She immediately proceeded to explain that not only does astronomy train highly skilled technicians, but also that the technology developed for astronomical applications often enters into the general economy and so repays any expenditure on research with profit. Personal digital cameras are a prime example of such technological transfer. This was entirely the wrong answer, in my opinion. Some goods are valuable because they lead us to other goods—money, for example—and are not really worth much in of themselves. But pure knowledge, as distinct from practical knowledge, is not such a good. It is something we desire in of itself, for, as someone said long ago, “All men by nature desire to know,” and called this pursuit “wisdom”. Wanting to know something or to look at something beautiful “just because” is at the heart of culture. I was edified, then, by my week-long sojourn in Oxford. Gathering to study the science of the heavens will not win fair lady, bring great wealth, or open doors upon the corridors of power. But much more than this, it points to our highest vocation, which is contemplation.